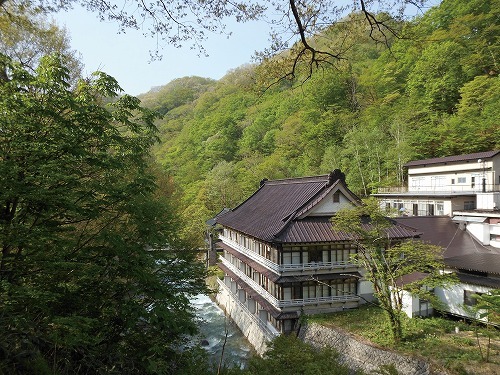 【Secret hot spring Inn】It is like a hiding place, surrounded by the nature, features in hot spring. We are the authentic Japanese-style hotel made by Japanese cypress. We offer the largest open-air bath in Japan and local specialty dishes.